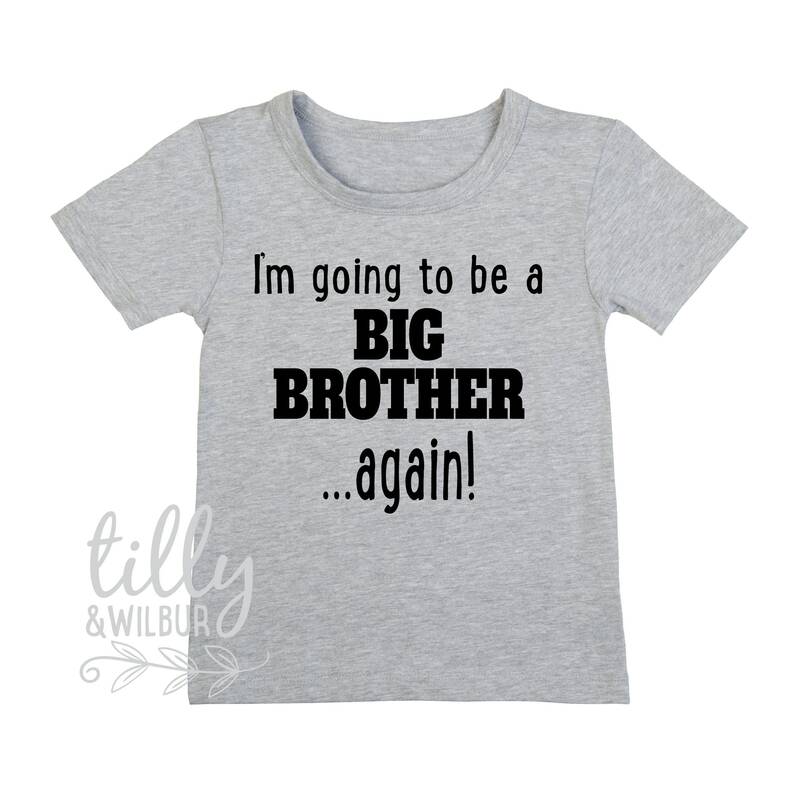 This big brother t-shirt has the words "I'm Going To Be A Big Brother... Again! ".